CyberLink Annual Updates, Audio Transitions and Some Rembrandt! This week CyberLink announced the release of updated versions of their various video, audio, color and image editing software offerings. Although my main interest is obviously their mainstay video editing program PowerDirector 17, a few things have changed over at CyberLink that are worth noting. In the past CyberLink have avoided going exclusively into a subscription model for their software preferring to allow for perpetual licenses as well as annual subscriptions depending on user choice. For the majority of their software that has not changed but they have changed it for their “all you can eat buffet” product Director Suite. Director Suite was and still is their package that offers just about every main program in the CyberLink stable bundled together as one integrated whole. 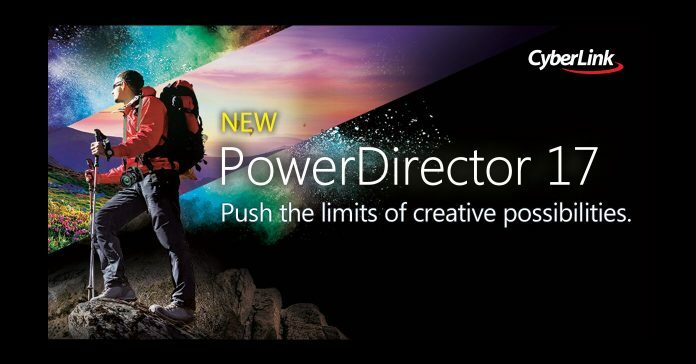 That means you get PowerDirector for video, ColorDirector for advanced color grading and correction, AudioDirector for advanced audio work and finally PhotoDirector which is their top of the line image editing program. So now Director Suite is only being offered as a subscription purchase with the yearly plan being about $130. The other change has been that they have discontinued the “Ultimate Suite” level of PowerDirector opting only to offer two levels of features, the basic Ultra version and the fully loaded Ultimate version. The old Ultimate Suite version was most likely cut out because it was so close to being the Director Suite bundle, having the two was a tad redundant. As far as the updates themselves go I have only had time to take a quick look at PowerDirector itself and it all seems quite promising. They do not seem to have added any wild new features this year but instead have opted to enhance or extend the functionality of existing modules which to my mind is always a good thing. You can check out all the new features HERE for yourself and I should have an updated PowerDirector 17 review done some time next week. And of course before I go here is their latest promo video covering the new stuff. So if you are a regular reader of these Friday Roundups I guess you would have a pretty clear picture of my attitude when it comes to transitions. If not them let me repeat my oft repeated rant… don’t worry, I’ll keep it short! If you want to make your video projects, regardless of subject matter as cheesy and as amateur looking as possible then make sure you use all the pre-set transitions available to you in your software of choice. Just slap them in, any old way you like and you should be good to go! If on the other hand, you don”t want the cheese factor quite so high then I have good news and bad news. The good news is that by using just about no transitions at all your videos will look way better. Just some cuts and cross fades and you will at least competent. If you want to raise it all up a notch then we come to the bad news. To really use transitions that make your projects look professional you have to make them yourself! I know, how crappy is that? Trouble is that’s how the pro’s do it. Any transition they use that does not involve a straight cut or a fade of some description will have been created, by hand, in a darkened room by the editor. Over the past few weeks or so I have added quite few video tutorials on the subject of creating your own tailor made transitions so if you want to check them out just use the search box and they should appear. One thing that is harder to find than tutorials on video transitions is that of audio transitions which in itself is another subject altogether. This week I at least found one and it is well worth taking a look at. It is basically what is described as a “swoosh” transition which can be applied at the same time as a video transition creating a dramatic effect. Check the video below for that one. As a side note it is well worth taking the time to look at some audio transitions at the pro level to see if there are any you may want to use yourself. As an exercise just watch any TV show or movie you like but instead of actually watching the movie, just watch for the transitions. Don’t pay too much attention to the video aspect of it all, just make a mental note to yourself as to what is happening with the audio when the transition is occurring. Most of the time you are going to find J cuts and L cuts where the audio and video cut at different point. But occasionally you will find transitions where a sound effect has been added at the same time, those are one you want to examine. Going back a few weeks now I was posting videos of the series below on how the YouTube algorithm currently works. I think I got to parts one and two then Derral seemed to stop posting them and went on to other things. Finally this week he posted the entire 30 minute presentation online so that’s the video you will see underneath. The reason I wanted to post it was that these days the idea that you are going to somehow be successful on YouTube because you put up a video is sadly delusional. The entire platform is now operating on a far more professional basis and if you don’t know clearly how it is all working then failure is guaranteed! Although by its title this video appears to be a lesson in editing it is actually a lesson in shooting video. One point I tend to keep banging on about is that the amount of time and effort you have to put into editing to get a project up to scratch can be greatly reduced by shooting with editing in mind. It does not matter how simple or complex your project is going to be, having a plan before you even start shooting will always pay dividends. This is especially relevant to the act of editing. This is a quick tutorial on how to create freeze frames in CyberLink PowerDirector… not exactly rocket surgery here! However the reason I have included it is because it offers a few good suggestions and examples of places where a freeze frame effect can be used… well… effectively! Two videos this week from the guys at Filmora on using green screen effects in your projects. Remember kids, just because your software can do it, does not necessarily mean you HAVE to! The top video is more of a tutorial in the sense that it shows how to recreate a particular effect that most people would remember from the move The Ring. It’s the one where the ring comes out of the TV screen. The second video below it is not really a tutorial on green screen itself. Rather, it just provides a few suggestions on places where you can use green screen or ways to incorporate it into projects. Apart from family or friends “events” type videos one of the most common styles of video project you will see at the amateur level are travel videos. I am not just talking about beautiful people in exotic locations in skimpy swimwear as you most often see on Instagram but just regular videos of people or families on holiday… travelling! Most of the time when you are on holidays or travelling you are not going to be afforded the luxury of setting up shots or professionally recording audio. In fact most of the time you will be desperately running around pulling out your camera at the most inopportune moments trying to catch the action as it unfolds. The results you get from that style of “run and shoot” videography are generally speaking only going to lend themselves to one particular type of video called a montage. A montage is usually just a series of shots or images that unfold to relay in a general sense what is or was going on at that time. Probably the majority of amateur videos are in fact montages. The problem with montages is that they very easily become a kind of slideshow with the only difference being that the images are moving rather than still. And just like uncle Bob’s slideshow from his holiday in Iceland, they can get pretty boring, pretty fast! There are a few things you can do to liven your average montage type project up so let’s take a look at them a little more in isolation. First of all, if you are going to be the video guy or gal in a situation where you know all you are going to be able to create is a montage then act that way. What I mean by that is when you are shooting, shoot from the point of view that everything is going to be part of a montage. Don’t shoot with some kind of forlorn hope that you are going to be able to stitch together ‘something” from a bunch of random shots. This all comes back to the old rule of shooting for the edit. Secondly don’t treat the creation of a montage as being some kind of fallback position thinking that there is not much you can do so I might as well just slap something together and add some music. There are many things you can do to spice up a montage over and above adding some background music. To give you some ideas the video below is dedicated to to improving travel videos in general and the one underneath that has some great tips and idea on how to put an interesting montage together. This is just a quick 60 second video tutorial of tips on getting perfect focus outside of using the auto-focus feature on your camera and even a tip on using that as well. To be honest there is nothing in particular to learn here when it comes to amateur video creation! Let’s face it, none of us are going to be having the time to set up a single light source shoot and get that lighting angle “just so” in order to replicate Rembrandt’s lighting effect… but I thought it was pretty interesting anyway. Most modern video editing software will have the ability to add objects or images as objects to the timeline and have them overlay the existing video. On top of that most also allow you to control the motion of that object or image as an object with some kind of motion tracking feature. Some of the more advanced software will even have an automated system that allows you to create a motion path that the object follows. For example you could have video of a football game then overlay an arrow (object) pointing to a particular player and have the arrow “follow” that player as his position changes. You can do the same with an image. However like most special effects, just applying it in an “out of the box” way generally results in a kind of cheesy look to the whole thing. The real secret in using effects is in the boring, tedious and time consuming details! To really make these kinds of things pop and look professional you have to get into the settings of the module and really tweak it all to get a smooth seamless look. In the video below Maliek goes into the settings of the PiP designer in PowerDirector and runs through just a few of those settings to show how they affect the end result.